This error usually happens when you try to export document as 'Expense Claim' from Datamolino but the ledger account you selected has not been allowed for this type of transaction. To fix this, go into your settings in Xero and then select Chart of accounts. 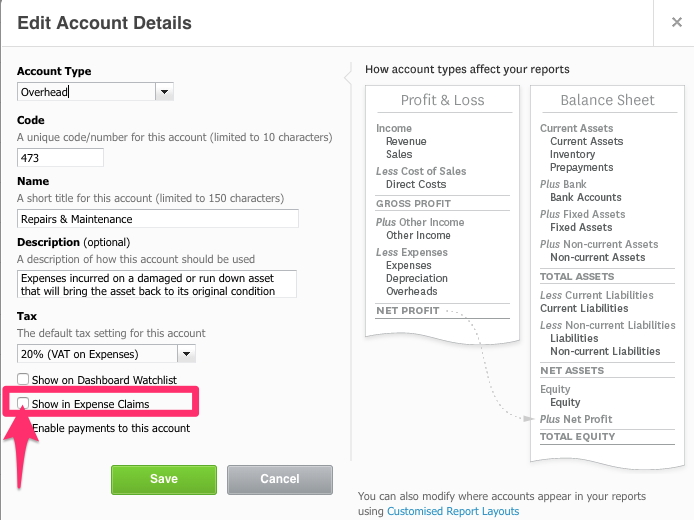 From here you can click into each category and then select “show in expense claims”. If you do not want to export this document as 'Expense claim', just change it to bills and it should export without any problems.